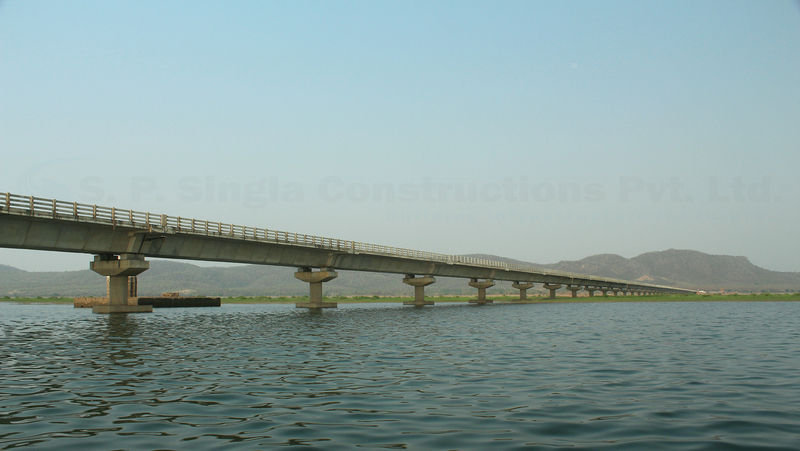 2.50 Km Long High Level Bridge on river IB in Jharsuguda district, Odisha | SP Singla Constructions Pvt. Ltd.
Project Description : This bridge will provide a new link between the MCL coal field area adjacent to Belpahad in the Jharsuguda district with SH-10 near Rengali of Sambalpur district. Carriageway : 10.90mComplete Foundation Work (70 nos.) including Substructure completed within 150 days under strict supervision due to limited working season of about 2 months in an year.